You know if you email that to customers they would think it's true, and try to find moon light protection. Yup, and that's kinda the point here............... Bunch of sheep? One good reason why I never sleep outside! He's on a roll today....I love it. Ooooooooooooh. 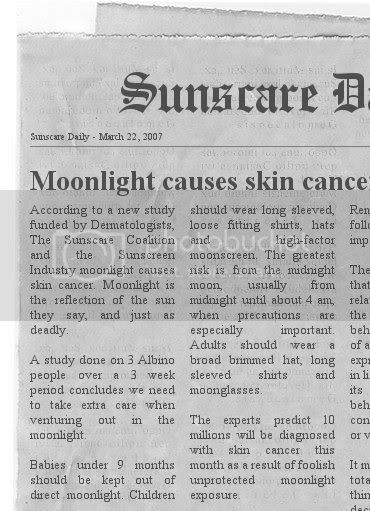 Bad news, moonscreen is only available thru your Derm. Available from your local Derm.